Having read every Jack Reahcer book, and all the short stories I can find, it is fair to say I like this character. I enjoy Child’s writing style (usually) and his stories are well crafted and full of pace, racing along with twists at the end of each chapter that draw you into reading the first few sentences of the next till you just can’t stop. However this book was more disappointing. Not all Reacher novels are great, there have been some hickups along the way, but event poor Jack Reacher books are still good stories in them selves – just not up to Lee Child’s high standards. This time it isn’t even a very good story. 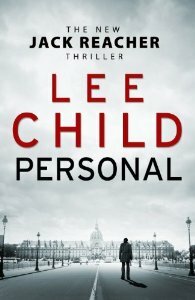 Reacher is tracked down – in an odd way in my opinion – by a general who needs him for a job only he can do … yada yada.. there’s a female officer he has to work with (who is really only there so he can explain the plot to her) .. he has to travel to Paris (which was a good part since Jack Reacher’s has a past in Paris – his resistance fighting mother) then to London on a wild goose chase after a sniper who yada yada might be the best -snooze- sniper in the world and has a grudge against —-…. oh man this was a slow, meandering and pointless plot. By the time the book finally got to the plot twist at the end I couldn’t have cared less. In part the book was building to a Boss level fight between Jack and his target, but it felt like Child had also lost interest as the final meeting of the two ends fairly simply. I will read the next and the next and the next but I do hope they get back to form. This entry was posted on Tuesday, June 2nd, 2015 at 6:39 pm and is filed under books. You can follow any responses to this entry through the RSS 2.0 feed. Both comments and pings are currently closed.